Once the accessory of choice for sailors, junkies and juvenile delinquents, tattoos are now about as common as a ham and cheese sandwich. In fact, a 2012 Harris Interactive Poll revealed that 21 percent of adults in the United States have at least one tattoo. In the Daily Sundial archive alone, there are at least a dozen pieces written on the subject — and that’s just the digital vault. Last year, Forbes ran an article called “Tattoos No Longer A Kiss Of Death In The Workplace” which listed all the major corporations who no longer look at visible tattoos as an obstacle to employment. Bank of America, for example, has no regulations regarding corporate employees and tattoos. So now that body modification is at the peak of acceptability, where is the local tattoo culture going and how does it stack up against others? “It’s a lot bigger and a lot busier,” said Sam Martin of the local tattoo culture. Martin is a tattoo artist at Kathouse Inc. Tattoo, who’s worked at several shops around California. Kathouse, a local favorite, has been open since 2005 and considers it their mission to “make sure you feel welcome when you walk through the door,” according to their website. Martin hasn’t noticed any specific trends in tattoo designs. The clientele he usually sees are between 20 and 30 with a few older people here and there. 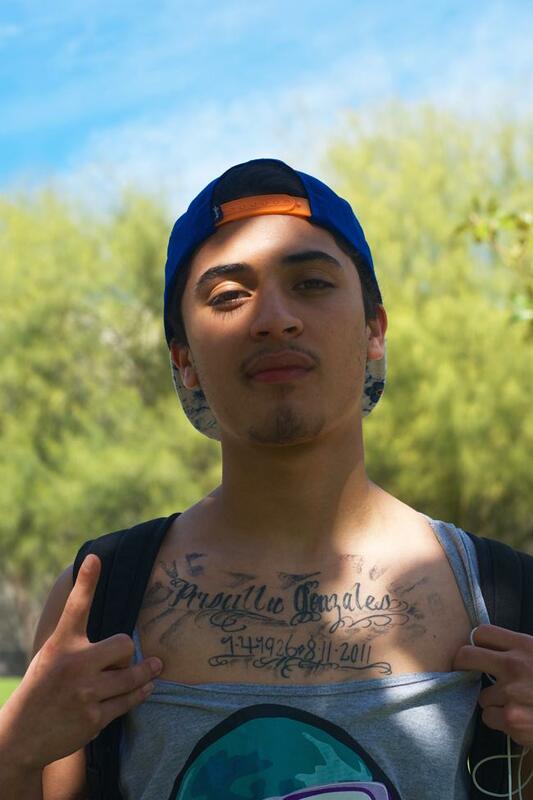 For CSUN students, inspiration for tattoo designs isn’t in short order. “My sleeves are mostly influenced by Stephen King novels,” said Matty, a junior creative writing major who preferred not to give his last name. Matty has both arms full of art from Kathouse. 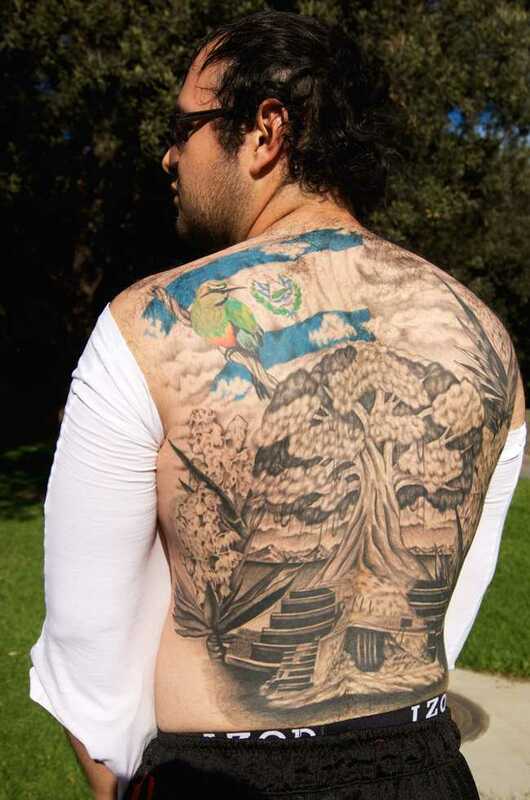 Over at Nathan’s Tattoo in Canoga Park, David Wright is an artist with a varied portfolio of work. He considers himself a jack-of-all-trades when it comes to tattoo styles. When asked about current trends, Wright has a concise response: “anything from Pinterest.” He’s noticed a large number of people bringing in things they’ve found on the popular social networking site. Even though there might not be a dominant cohesive theme, small black and white work is popular, especially among first timers. 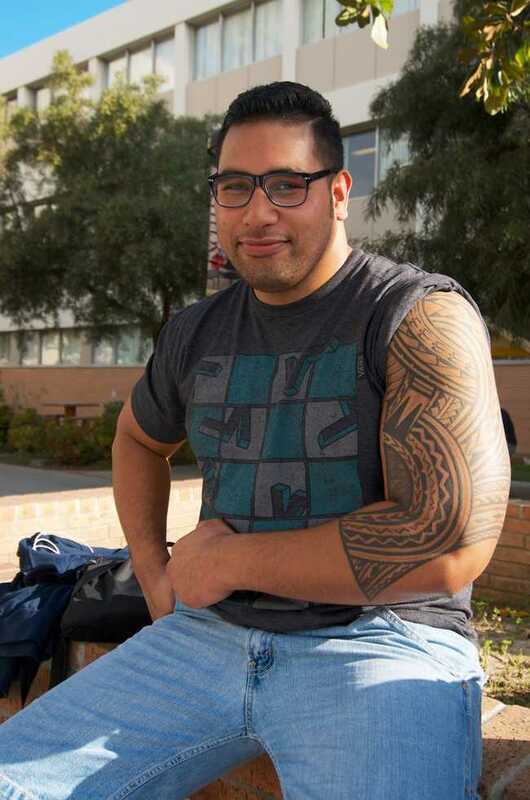 David Korsak, 28, business management major, got his first tattoo done when he was 17 in Barstow. 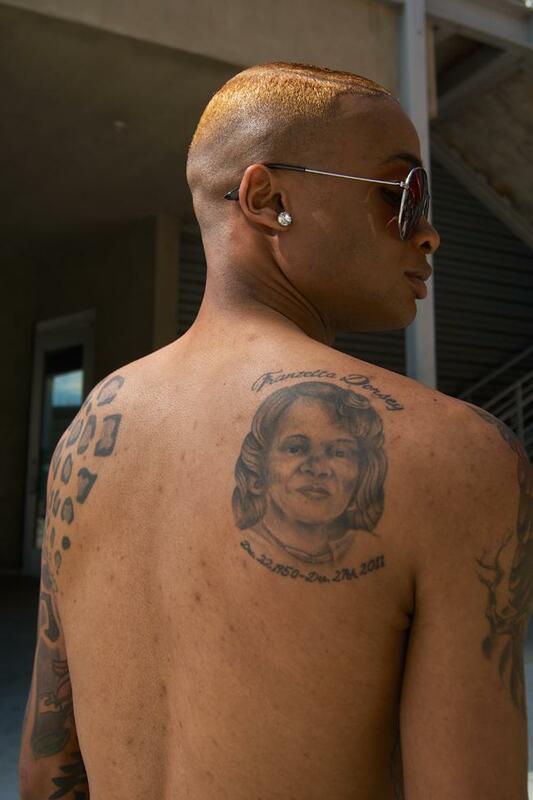 He’d always had a fascination with tattoos, which he was allowed to get as long as his mom could choose the location. He has the family name on his inner bicep. “I’m at the point of no return,” he said about getting more tattoos. 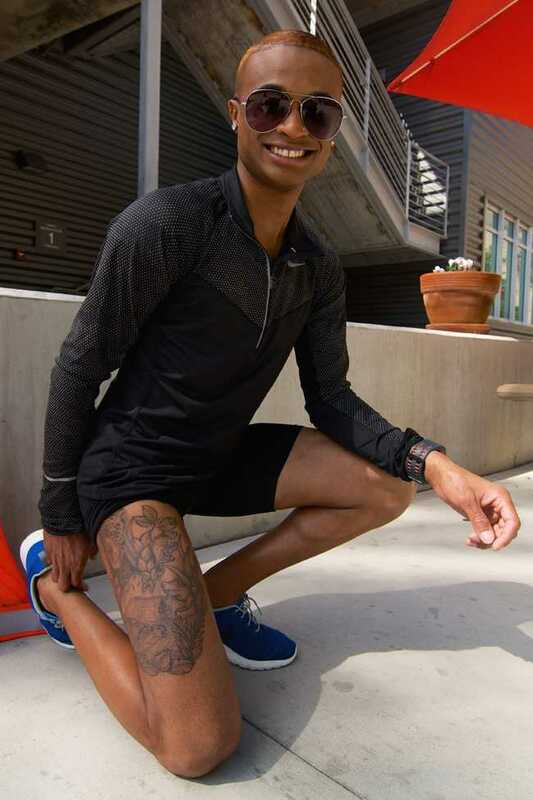 Since he already has his ribs covered, he plans on eventually getting 60 percent of his body decorated. Korsak is one of many tattooed social media users and uses platforms like Instagram to follow his tattoo artist. Artists use the site to serve as a secondary, sharable portfolio. 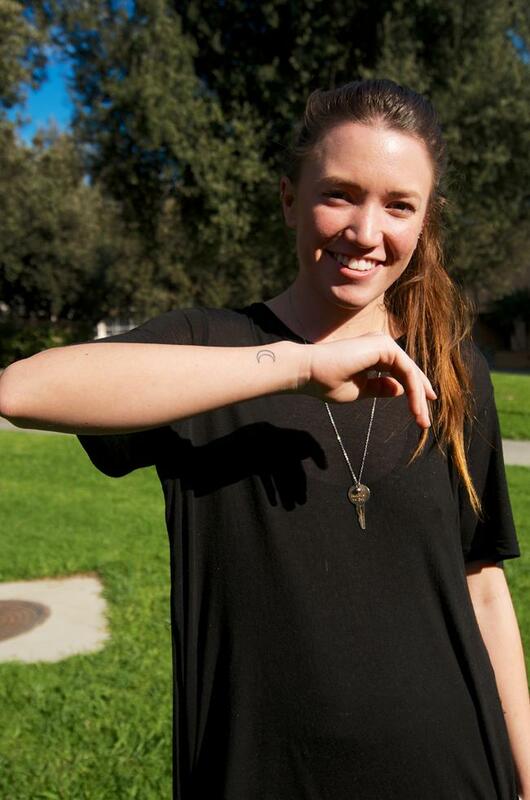 Lauren Gates, 20, anthropology major, who got her first tattoo last August in Valencia, has a Pinterest board where she keeps ideas for herself and shares things she might not want done, but appreciates nonetheless. Gates is thinking of adding to her on-body collection with a small rib piece in the future. Her current ink symbolizes balance, femininity and love for the universe. What the average inked athlete and pierced sorority girl might not know is the history behind their fashion statements. According to a PBS feature on the topic, body modification was brought to the west from indigenous civilizations by explorer Captain James Cook and mainstreamed by transgressive futurists and gay fetish bars. In the late 1700s, when explorer Captain James Cook returned from a voyage, many of his men came back with tattoos given to them by Polynesian natives. One of those voyagers, Sir Joseph Banks, was a wealthy British nobleman who introduced tattoos to high society. Because of Cook’s men, tattoos were often associated with sailors but waxed and waned in popularity with the entire range of social classes. In the 1930s Norman “Sailor Jerry” Collins made a name for himself tattooing sailors and pioneering sterilization practices in the industry. Some of the stigma surrounding tattooing was removed in the 1950s when artist Lyle Tuttle started tattooing musicians and other celebrities. The modern form of body modification kicked off in 1989 when RE/Search Publications released the book “Modern Primitives,” an attempt to document the growing popularity of tattooing, piercing and other nods to primitive culture. 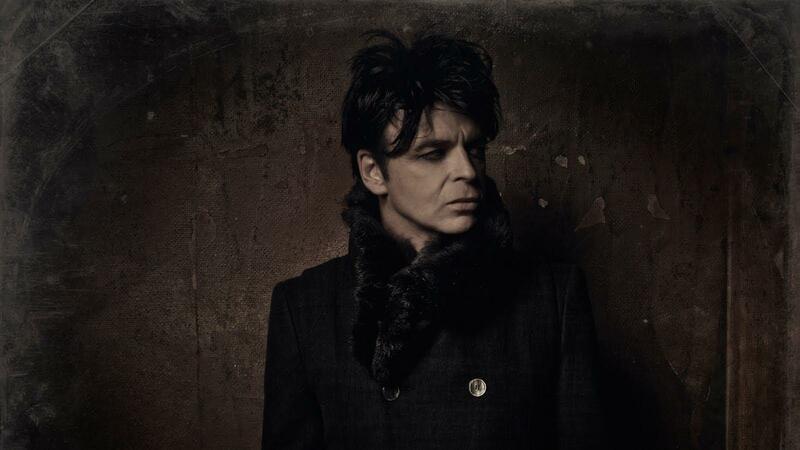 Around the same time, a former art teacher rebranded himself Mr. Sebastian and began extensively promoting tattooing and body piercing in London’s gay leather community. Both tattooing and body piercing continued to trickle down into mainstream consciousness throughout the ‘90s. Today tattooing involves the use of a specialized machine and a needle to deposit permanent ink into the dermis layer of the skin. This weekend, the Japanese American National Museum is opening a photo exhibit that explores the tradition of Japanese body art. The series, titled Perseverance: Japanese Tattoo Tradition in the Modern World, looks into this ancient art, and how it has impacted modern inking practices. And although tattoos can be beautiful, some people among the tatted community are still at risk of prejudice. Contributing reporting by Ken Scarboro, senior staff.